Our newest Partner, Banjo Brothers have sent us a few items to review. 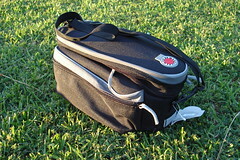 RACK TOP BAG (Expanding) – A sleek design that expands for those trips when you are packing extra gear. Stout The thick padding insulates your food and protects your valuables. 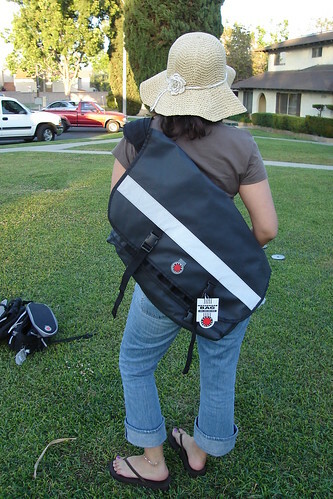 SADDLEBAG PANNIERS– One-piece saddlebag design is easy-on and easy-off. It’s ideal for commuting or a weekend trip to a nearby bed and breakfast. The bags are low-profile, so they won’t slow you down. They also feature cinch straps on top to hold extra gear. 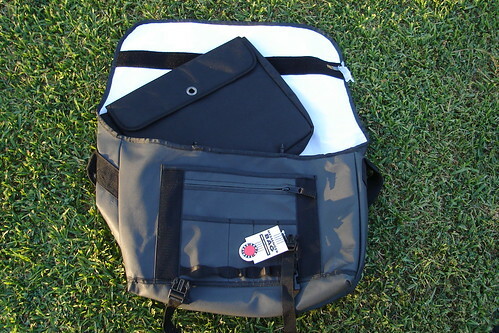 MESSENGER BAG – The new design for 2006 has huge capacity and new shoulder strap design with quick-release buckle, plush shoulder pad, and one-handed, on-the-fly strap adjustment. Big reflective strip to help be seen. 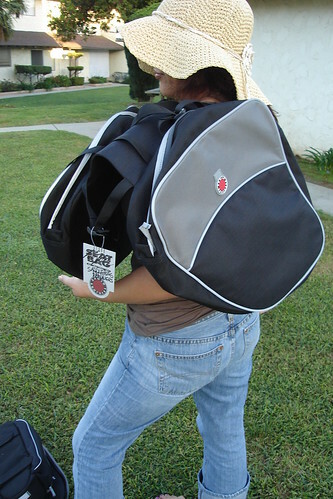 A great way to carry your stuff around town. 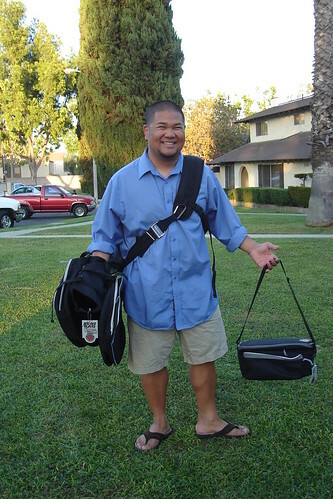 POCKET MESSENGER BAG — The Banjo Brothers Pocket Messenger Bag is a handy bag for unexpected errands, extra capacity, or a post-ride refreshment stop. Fits nicely in a jersey pocket or seat bag until needed. For more information about products from Banjo Brothers, CLICK HERE! Bike Princess…correction…nice hairless shaven legs RL. I stand corrected Jay. Hairless they are. His legs are HOT and hairless.